Hong Kong has become the first team for eight years to stop North Korea from getting to the final round of the EAFF (East Asian Football Federation) Championship. They had to play a round robin of 3 matches to qualify, and those games were played against Taiwan, Mongolia and North Korea. Every team would have fancied their chances of beating Mongolia before the tournament started, with them being the lowest ranked team in this round of the competition, so the two key results for Hong Kong had to come against Taiwan in their opening game, and North Korea in their second match of the competition. Defeating Taiwan 2-1, and holding North Korea to a 0-0 draw was vital in them being in the position they found themselves in going into the final game against Mongolia, where they had to attack from start to finish to outscore North Korea and advance to the final round. 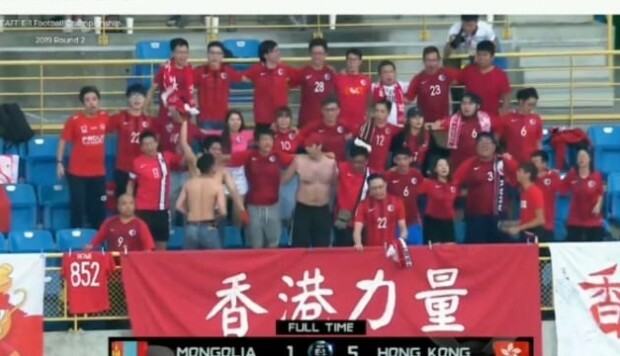 With Gary White in charge who is known for his attacking style of play, Hong Kong had no problem in hammering Mongolia 5-1 and then they had to sit and bite their nails in the hope that North Korea wouldn’t beat Taiwan by 3 clear goals. The North Koreans only managed a 2-0 win, therefore Hong Kong advance to the final round. Hong Kong getting Gary White to manage them after his contract ran out in Taiwan has to be considered a masterstroke by the Hong Kong FA. His style of playing attacking football really works at this level of the FIFA world rankings where most of the low ranked nations only set up to try and not lose. It could be seen in the way Taiwan was set up for their games in the post Gary White era, with the team deployed so deep in their own half, and a lack of pressing the opposition player in possession definitely give the impression they were just trying to not get beat and hoping they could fluke enough wins to get through. On the flipside of that coin, Gary White and Hong Kong have shown again what a bit of self-belief in your ability to win the game and allowing players to attack can do. Hong Kong’s approach showed why Gary White is successful at this level, if the majority of teams set up like Taiwan hoping to not lose, then a bloke rocks up and tells his team to attack them, the attacking team will more likely win 9 times out of 10. Had it not been for the CTFA bickering and arguing among themselves then maybe, just maybe Taiwan could have been in a similar position to Hong Kong right now, but Taiwan’s loss is definitely Hong Kong’s gain. At the final whistle contrasting emotions could be seen in the stadium, the Hong Kong fans were overjoyed and going wild at qualifying for the final stage for the first time in donkeys. Taiwan’s fans were cheering on their players thankful for their efforts but wished they could have been in Hong Kong’s situation. It is great for the tournament that another team other than North Korea has made the final round, and as long as Gary White stays in Hong Kong the future looks bright for them, but as everyone is aware Gary is an ambitious man and doesn’t want to stick around for his whole career at a small nation. Hong Kong will do well to advance with him in charge but also plan for what will happen when he moves on because he will move on. In the meantime however it will be interesting to see how far Hong Kong can go, Taiwan, on the other hand, remain in turmoil, still no permanent manager, no direction and seemingly no ambition. The CTFA wasn’t happy with Gary White being ambitious to take Taiwan as high as possible, which could be some part of the reason for the behind the scenes arguing. The guy in temporary charge may be a nice bloke but Taiwan is only going backwards with him at the helm, unfortunately. Good luck to Hong Kong in the East Asian Championship, we will for sure be watching their progress with keen interest.